Special Counsel Robert Mueller filed the first charges in his investigation into Russia’s alleged interference in the 2016 election. While the identity of the individual (s) charged is not known at this time, it is plausible former Trump campaign manager Paul Manafort is among them. The former Trump campaign manager says he knows nothing about Mueller possibly filing charges against him. Donald Trump’s former campaign Paul Manafort has said he has not been informed of any possible criminal charges against him, after it was reported the first indictments had been filed by the team investigating Russia’s alleged meddling in the 2016 election. Reports said a grand jury working with Special Prosecutor Robert Mueller, had approved the first charges to result from the ongoing probe that is looking at possible collusion between the Trump campaign and Russia. The reports, which have not specified what the charges are or who they were filed against, said a suspect could be taken into custody as soon as Monday. According to reports, Manaforts realtor, who helped the former Trump official purchase a Virginia condo, appeared by a judge to testify in Mueller’s Russia investigation. The broker’s appearance before the grand jury is one of few concrete indications of the leads Mueller’s prosecutors are pursuing as they investigate Russian meddling in last year’s presidential election. 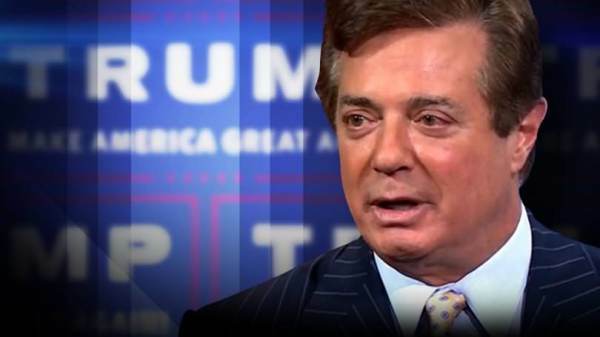 As The Gateway Pundit previously reported, former Trump campaign aides believe things are not looking good for Paul Manafort concerning Special Counsel Robert Mueller’s investigation. Associates believe Manafort may go down for an array of financial crimes. Over the summer, Special Counsel Robert Mueller issued subpoenas for Melissa Laurenza and Jason Maloni, key aides to Paul Manfort. Following reports that the FBI raided the home of Paul Manafort, the former Trump campaign chairman decided to switch up his legal team. The change came amid Special Counsel Robert Mueller zeroing in on Manafort.